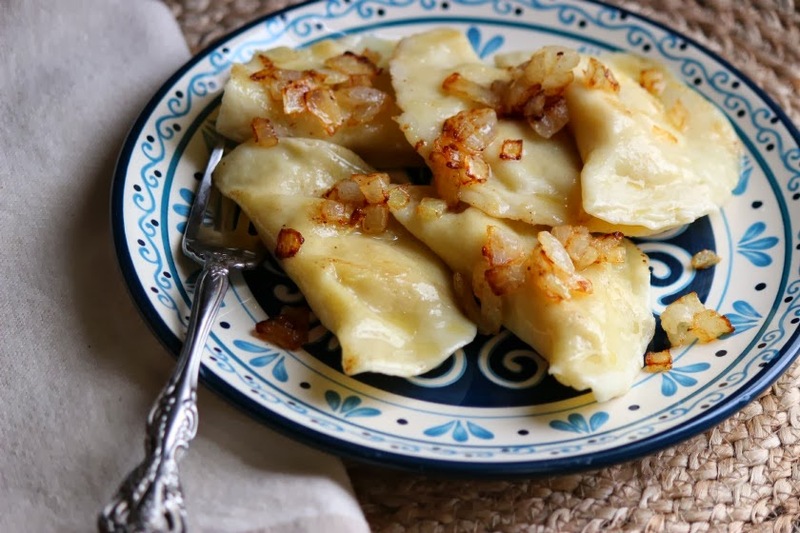 If you have never tried making pierogi before, or just have a craving and don't want to go through all the fuss, this is a perfect recipe. It makes just about 2 dozen pierogi - enough for a snack for my boys! It's even easier if you make the delicious potato filling the day before. In a medium mixing bowl, whisk the eggs, sour cream, water and salt. Add flour, 1 cup at a time until fully incorporated. Turn out the dough onto a lightly floured work surface and knead until smooth, about 5 minutes. Place the dough in a lightly oiled bowl, cover with a damp paper towel and let the dough rest for 20 minutes. To make the filling: Peel and cube potatoes. Place in a medium pot. Rinse once or twice and cover with cold water. Add salt to taste and bring to a boil. Simmer potatoes until tender, 15 to 20 minutes. In a medium saute pan, melt butter over medium heat. Add chopped onions and saute until softened until light golden brown. Remove from heat. Reserve about 1/4 cup for finished pierogi. Drain potatoes and mash. I still have one of those old-fashioned potato mashers. Add onions with butter from the pan, cheddar and ricotta cheese and mix well. Season with salt and pepper. Set aside. 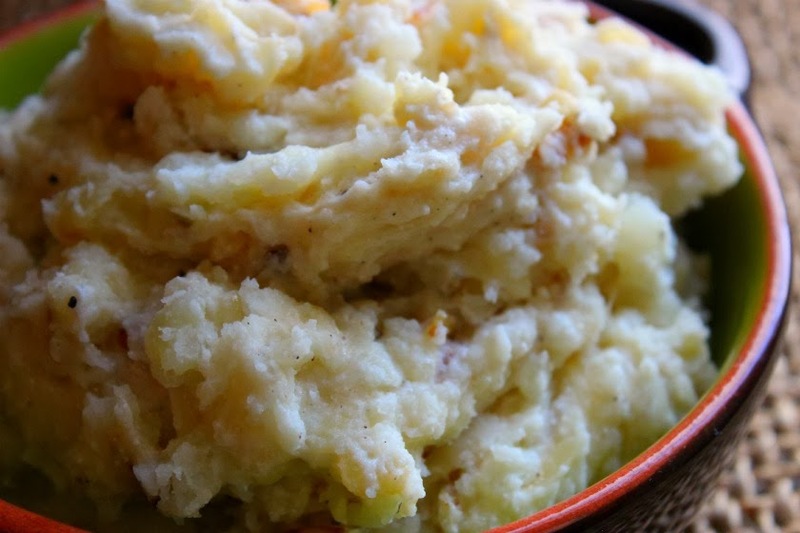 These mashed potatoes are delicious on their own! 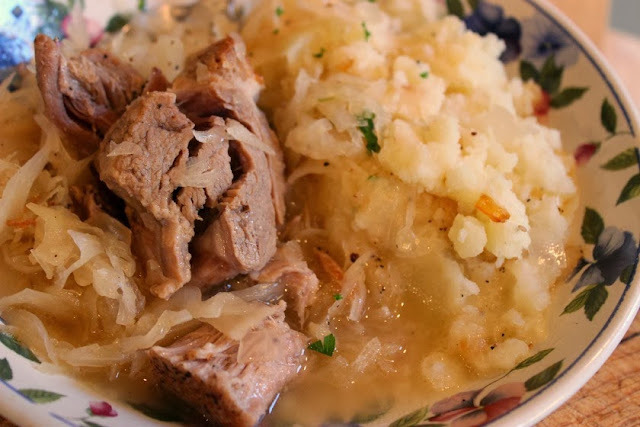 A different way to serve tradtional mashed potatoes. Can you image these with some gravy! Place dough on a well-floured work surface. Set a small bowl of water next to your work area. Divide dough in half. Roll out one half of the dough to approximately 1/4" thick - as thin as possible while still being able to work with it. If dough shrinks back while rolling, cover and let rest a little longer. 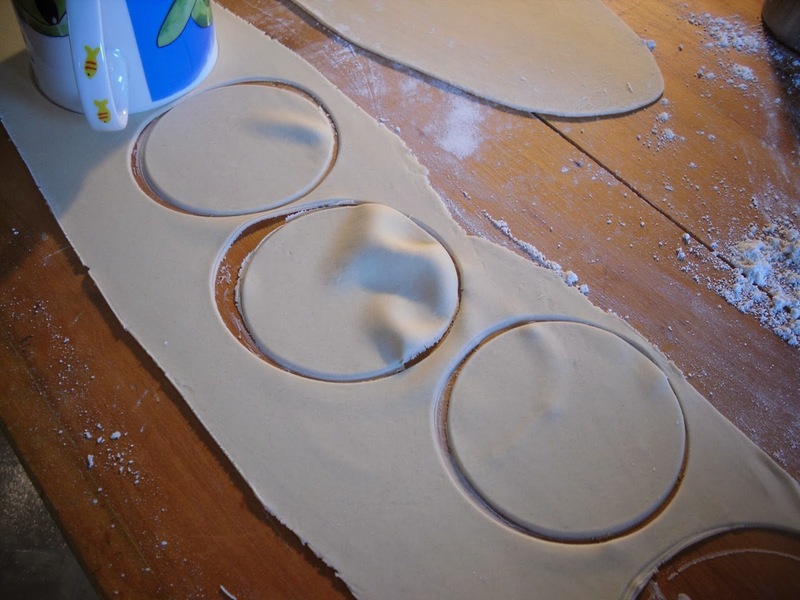 Cut out dough rounds using a 3" round biscuit cutter (or use a coffee cup or the rim of a drinking glass). Place 1 Tbsp. of the filling in the center of each circle. Dip your fingers in the water and moisten the edge of half of the circle, then fold the other half over to make a half moon shape. Press and seal the edges together. Cover filled pierogi with a clean towel while you work with the rest of the dough. Bring a 6- to 8-quart pot of salted water to a boil over high heat. Working in batches of 6 to 8, drop the pierogi into the boiling water and give them a gentle stir so they don't stick together or to the bottom of the pot. When they float to the top, lower the heat and gently simmer for 3-4 minutes. Use a slotted spoon to transfer them to a platter. Melt 1/4 cup unsalted butter in a medium saute pan. 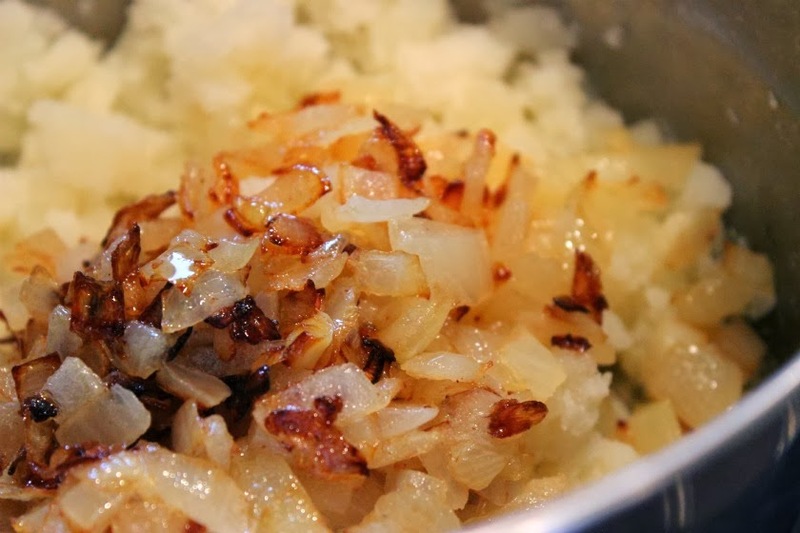 Sprinkle the pierogi with the reserved onion and drizzle with melted butter. Season with salt and freshly ground black pepper and serve hot with sour cream on the side. Melt 4 Tbsp. unsalted butter in a heavy-duty skillet over medium heat. Cook the boiled pierogi, flipping once, until golden brown and crispy on both sides, 4 to 5 minutes. Serve as above with onion and sour cream. 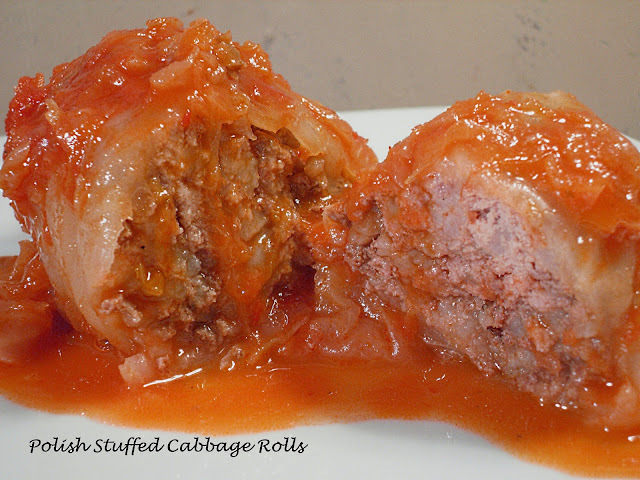 This is a great dish during Lent. It's even easier if you make the potatoes the day before, then you just have to work with the dough. Once you get started it goes quickly! Beautiful pierogis, Patti! Happy Friday! 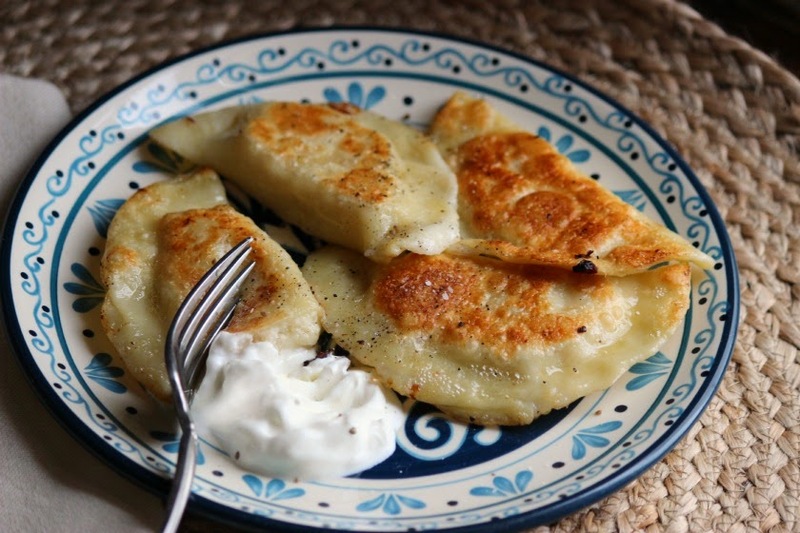 I came here looking for your Ina Friday dessert post and found pierogi instead! Lucky me. I have made them once but think I'll give your recipe a try. They look delicious.